Tesla's Children follows five outside-the-box thinkers / mavericks, who are not only changing the existing scientific paradigm, but are overthrowing it in several unique ways. 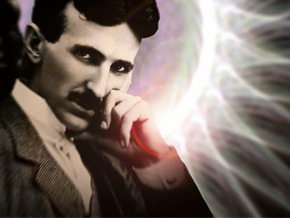 The inventors are connected by an inspiration to iconic pioneer Nikola Tesla, a Serbian inventor who immigrated to America to work with Thomas Edison. Although Tesla was known as an eccentric showman, he was also a genius responsible for such inventions as fluorescent lighting, remote control, robots, helicopter airplanes and particlebeam weapons. Tesla also had patents on a hydroelectric power system, wireless communication and the induction motor (which powers the vehicles made today by Tesla Motors, named after Nicola Tesla). These six inventors are committed to their research and making a difference in the world, and the film explores their motivations, their designs and methods using interviews, walk-throughs and stunning animation and graphics.